Kottke recently shared a list of the books he and Jobs read around their time at Reed — ones that inspired Jobs's travels across the globe as well as his professional pursuits. One of the most influential works on that list is "Cosmic Consciousness: A Study in the Evolution of the Human Mind," originally published by a Canadian psychiatrist in 1901. This work is the magnum opus of Bucke's career, a project that he researched and wrote over many years. In it, Bucke described his own experience, that of contemporaries (most notably Whitman, but also unknown figures like "C.P. "), and the experiences and outlook of historical figures including Buddha, Jesus, Paul, Plotinus, Muhammad, Dante, Francis Bacon, and William Blake. 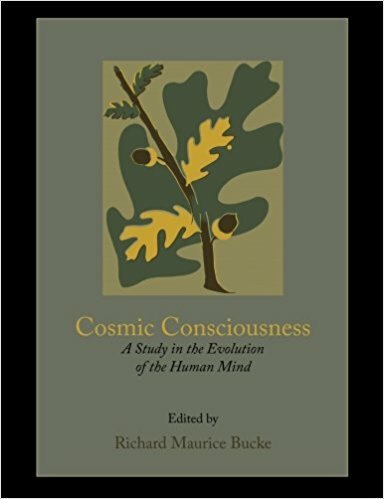 Bucke developed a theory involving three stages in the development of consciousness: the simple consciousness of animals; the self-consciousness of the mass of humanity (encompassing reason, imagination, etc. ); and cosmic consciousness - an emerging faculty and the next stage of human development. Among the effects of this progression, he believed he detected a lengthy historical trend in which religious conceptions and theologies had become less and less fearful. A classic work.